“I graduated class eight in 2007 and there was nothing to be excited about. I would never get to high school, not with my father who had low regard for education and the meagre wages that my mother earned from her small businesses. “Determined to make a living for myself, I enrolled for a dress making course in our neighbourhood. I was later employed as a seamstress at tailors shop but the wages were too little. I was lucky enough to get another job at a reputable company where I got the chance to hone my skills while working at the same time. Unfortunately, the promised wages were never paid and I had to quit. 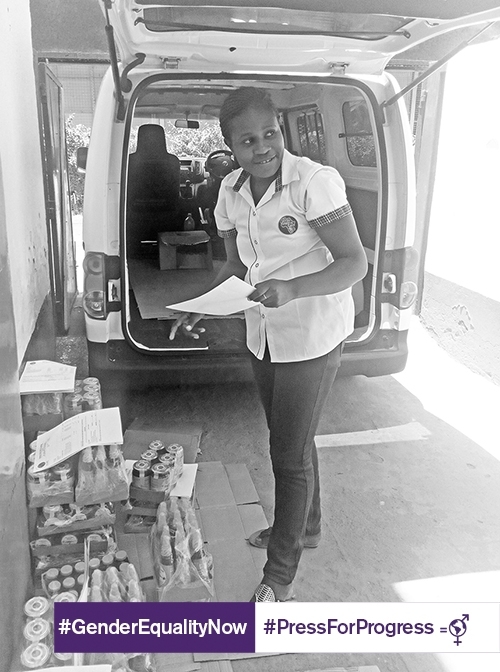 “When the opportunity to join Honey Care Africa knocked in 2012, I jumped in excitedly. I started off in the production department packaging and labelling honey. When my supervisor had to go on maternity leave I was requested to stand in for her. Our CEO noticed the hard work and determination I put in in this role and when my supervisor reported back to work, I was offered a chance in the sales department.